When he isn’t among the ten players vying for position on the basketball court, Cole Aldrich of the New York Knicks sometimes lets his dangle behind one ear. Mason Plumlee, who plays for the Brooklyn Nets, slips his snugly inside one of his socks during off times. Other players can be seen at timeouts gnawing on them nervously, or tucking them into spandex waistbands. But when the whistle blows, they go into the mouth before the players get on the court. We’re talking about protective mouthguards, of course. According to a recent story in the New York Times, only a handful of basketball players wore them regularly a few years ago. Today, more and more are wearing them, both in practice and during games. What’s the reason for the change? Partly, it’s the result of better design and improved construction; today’s mouthguards are more comfortable and better-fitting than ever. Part of it comes from mounting evidence that they work: Research studies have consistently demonstrated the benefits of wearing a mouthguard — not only to protect the teeth, but also to reduce the risk of concussion. And partly, it stems from the growing acceptance that safety is an important aspect of all athletic activity. If the pros are doing it — shouldn’t you be too? While you may think that only contact sports (such as football) are risky, the fact is that “non-contact” sports like baseball and basketball account for the majority of dental injuries. In fact, the American Dental Association recommends you wear a mouthguard when you participate in activities like handball, soccer, surfing and weight lifting — as well as boxing, skydiving, martial arts and “extreme sports” — whatever that may mean to you. What’s the best kind of mouthguard? It’s the one that you actually wear, of course! 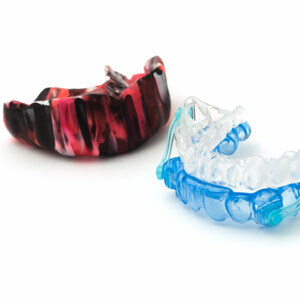 And the most comfortable and best-fitting mouthguard is the one that’s custom-made for you by your dentist. Sure, you can pick up an off-the-shelf mouthguard at a big box store; but it can’t offer you the same level of protection and comfort you’ll get from a mouthguard that is made from a model of your own teeth. Custom-made mouthguards from your dentist are reasonably priced — and by preventing dental trauma, they can save an untold amount of hurt… both to your body and to your pocketbook. 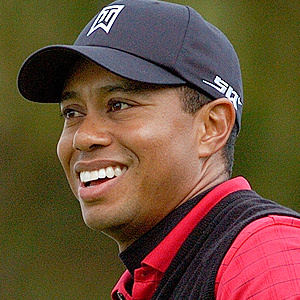 So take a tip from the pros: Get a custom-made mouthguard, and wear it every time you play. But when you’re done playing… how about putting it away in a case?